Enjoy the top 195 famous quotes, sayings and quotations by V.S. 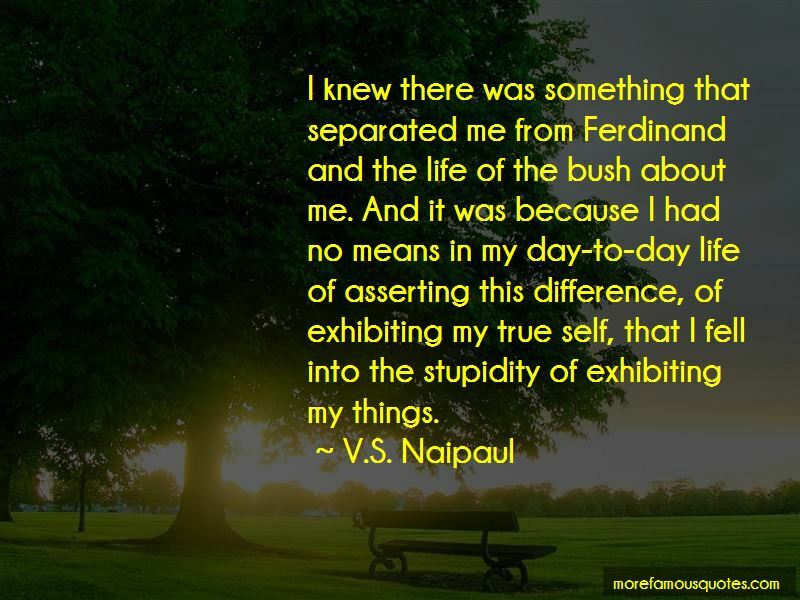 Naipaul. “In his original design the solicitor's clerk seemed to have forgotten the need for a staircase to link both the floors, and what he had provided had the appearance of an afterthought. Doorways had been punched in the eastern wall and a rough wooden staircase - heavy planks on an uneven frame with one warped unpainted banister, the whole covered with a sloping roof of corrugated iron - hung precariously at the back of the house, in striking contrast with the white-pointed brickwork of the front, the white woodwork and the frosted glass of doors and windows. [In]the too solid three-dimensional city, I could never feel myself as anything but spectral, disintegrating, pointless, fluid. You can't deny what you've learned; you can't deny your travels; you can't deny the nature of your life. Want to see more pictures of V.S. 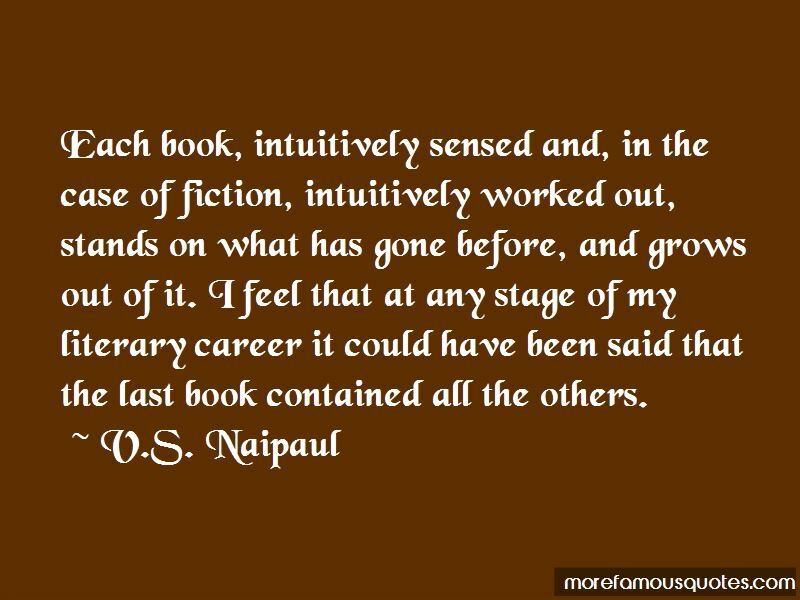 Naipaul quotes? Click on image of V.S. 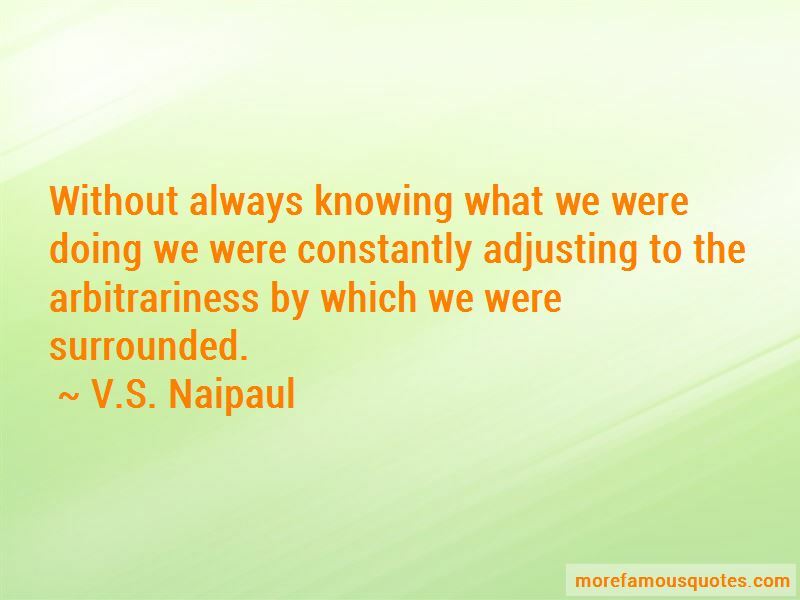 Naipaul quotes to view full size.